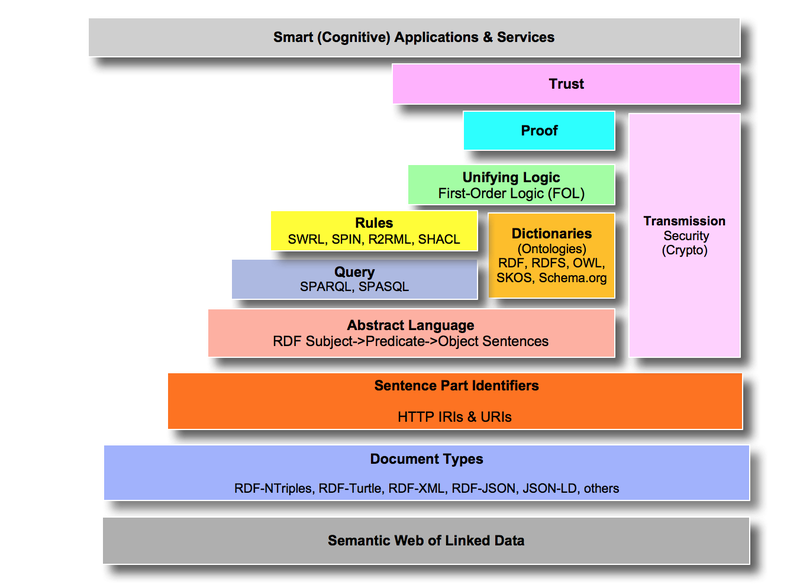 The Semantic Web Layer Cake tries to visualize the interplay of components on the Semantic Web. 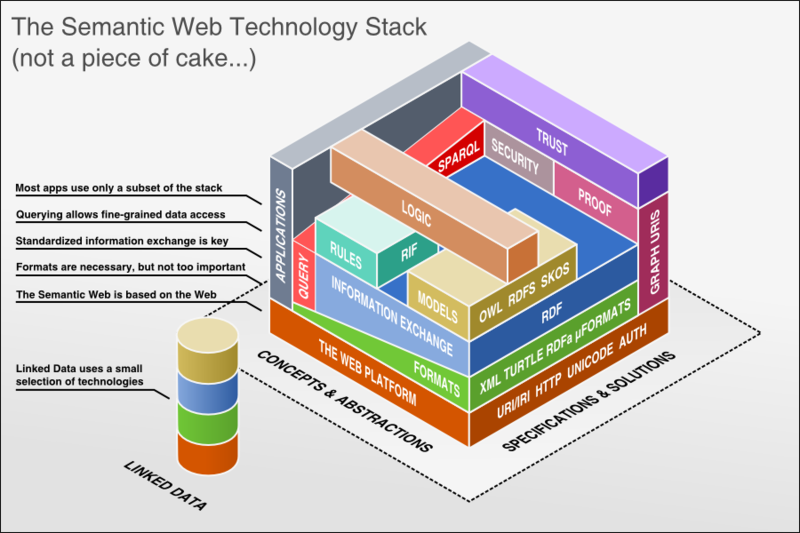 The Semantic Web Layer Cake, Semantic Web Layer Model, or Semantic Web Stack is an approach to define and visualize the interplay of the components on the Semantic Web. The most commonly known layer model probably is the OSI model. The OSI model describes which tasks are performed in which layer and thus provides an abstraction of these tasks for the other layers. In this way it is not necessary for every single application to implement the full stack. Further it allows to make changes within one layer by keeping applications on the other layers in tact. Since abstraction simplifies aspects this is usually a good point for discussion. Also the Semantic Web Layer Cake is permanently under discussion. To keep an overview on the individual proposals I want to keep a collection of links to the individual figures. If you know more examples or of you can give me “more original” sources, please tell me. The first widely used and referenced model was presented by Tim Berners-Lee in 2000. In the talks Semantic Web, and Other Technologies to Watch by Steve Bratt from 2007 he is using a different version. 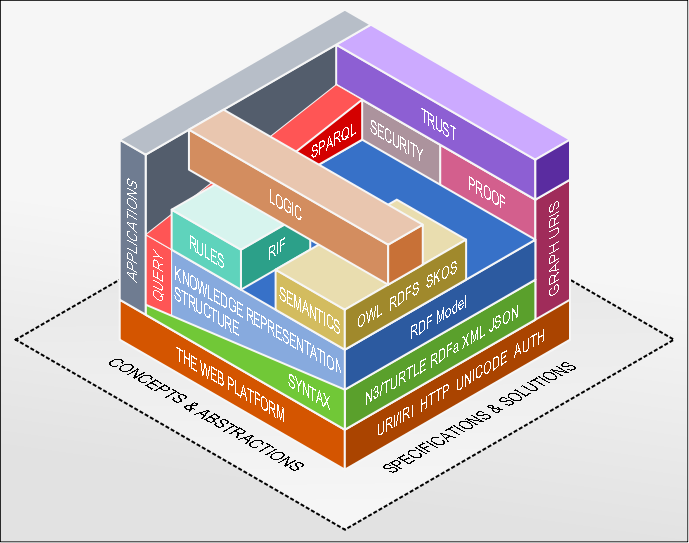 In the article The Semantic Web - Not a piece of cake… by Benjamin Nowack from 2009, he puts some more dimensions into the layer model which provides nice angles to view on the things. He also provides Linked Data with an extra part of the Stack. 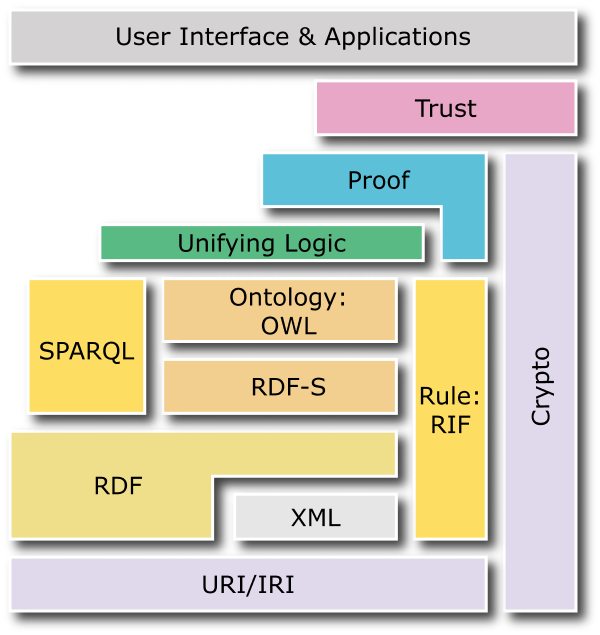 A slightly modified version was published together with a link collection in The common, layered Semantic Web technology stack by Thomas Gängler in 2011. 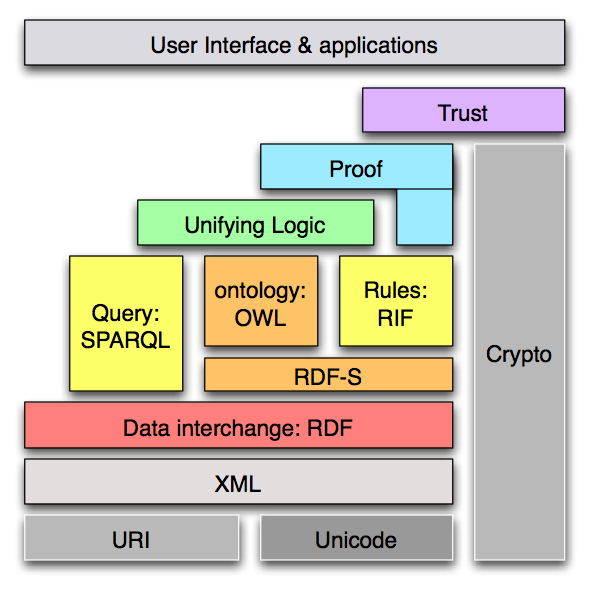 In the presentation An introduction to Semantic Web and Linked Data by Fabian Gandon at the WWW2014, he categorizes the layers into the five groups: Abstract Language/Representation, Query & Update, Reasoning, Trust, and Application and Interaction. In the article Semantic Web Layer Cake Tweak, Explained by Kingsley Uyi Idehen from 2017, he shows an updated model which includes the recent evolution of the Semantic Web technologies. The first widely used and referenced model by Tim Berners-Lee was also predated by some other models.